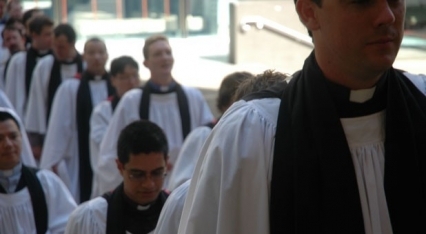 Tomorrow at 10am at St Andrew’s Cathedral Sydney, 35 men and women will be ordained as deacons for service in the Anglican church, including our own Adam Hotson. Apart from gaining a ‘Rev.’ at the start of their name and permission to wear a ‘dog collar’, ordinands are officially given a copy of the Bible as a symbol of the heart of their mission: to teach the word of God to the world of God. Bible teachers are literally a gift to us from God, but the responsibility is one that must not be taken lightly. So, let us pray for the 35 ordinands, and for all men and women who teach God’s word from the pulpit to the playground; from the hotel to the hospital; from the kids’ group to the café. Let us pray to God, (using the words from the Book of Common Prayer), that he will so replenish them with the truth of his doctrine, and adorn them with innocency of life, that, both by word and good example, they may faithfully serve him in their ministry, to the glory of his Name, and the edification of his Church.